Looking for creative ways to make multiplication, division, and other complex math concepts more exciting? The award-winning Horizons 3rd Grade Math Set from Alpha Omega Publications contains fun-filled, teacher-directed activities perfect for interactive learning. Play money, flashcards, games, and other suggested manipulatives in this Alpha Omega curriculum reinforce your child's retention as new concepts are introduced and reviewed. Throughout this colorful, brightly illustrated course, mind-stretching lessons will have your child mastering more difficult mathematical concepts like equations, the metric system, map reading, and decimal equivalents, in no time at all! But there's more! This best-selling homeschooling math curriculum also includes a two-part, comprehensive teacher's guide that clearly outlines lessons plans 1-160. Specific objectives, needed materials, and suggested learning activities in this Alpha Omega curriculum save on precious teaching preparation time. Plus, you'll love the daily homeschool lesson planner, student readiness evaluation, answer keys, teaching tips, and additional worksheets that keep you focused as you give your 3rd grader a thorough education in mathematics. Sound great? It is! Teaching math to your homeschooler has never been easier or more fun! 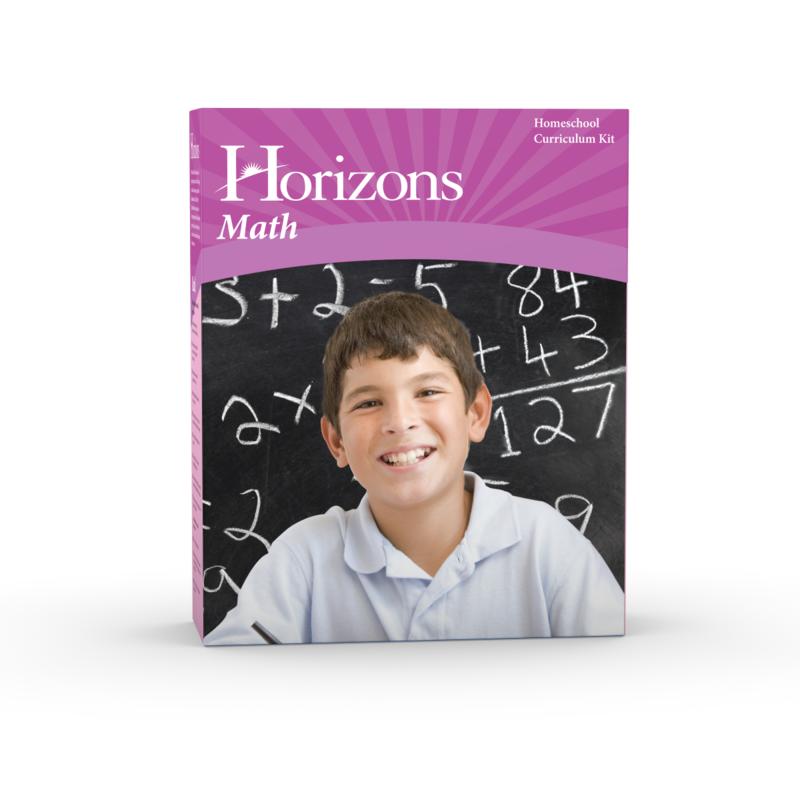 Order your Horizons 3rd Grade Math Set today to try it for yourself!